After a couple of quieter weeks, we get a deluge of ID@Xbox titles for this week. 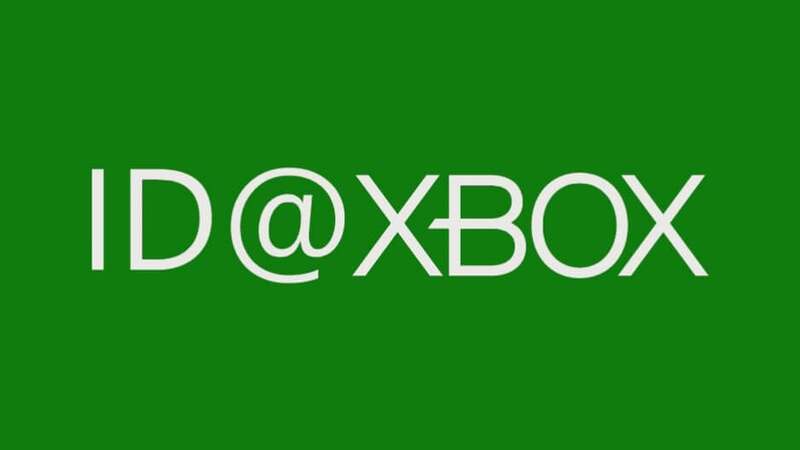 In fact, Friday marks the 500th title to be released through the ID@Xbox program. With four releasing on that day, which one will get to be #500 is up for debate. What do you think? Flinthook is the galaxy's smallest pirate, but he's also the toughest in a world that is filled with scoundrels and miscreants. Everyone is looking for treasure and a quick fortune, but the future of the galaxy is in peril when a malevolent treasure hunter plans to unleash an ancient evil. With the power to slow time, blat enemies away with his blasma pistol and swing around the level with his trusty hookshot, Flinthook must save the day through an infinite variety of randomly-assembled spaceships. If you've played The Bunker, you'll know what to expect here. The latest full motion video experience from Wales Interactive is a high stakes crime thriller. Mathematics student Matt finds himself in over his head when his is forced to take part in the robbery of a lucrative auction house. Player choices will affect the outcome of the story and there will be seven possible endings to find. There are over 180 decision points and you'll need to make them quickly, because the game will continue rolling in the background without pausing or looping footage. Due to a coding incompatibility, the original version of this title was never able to be released on Xbox 360 through backwards compatibility. Instead, developer Beep Games has remade it for the Xbox One. Vince is a voodoo doll that is looking for his missing keeper, Madam Charmaine. To find her, he'll need to cross through swamps laden woth crawfish, graveyards that are haunted by lost souls, and the French Quarter with a taste for the eccentric. Being a voodoo doll, Vince has over 30 attacks at his disposal that allow him to make sure that his opponents feel the pain. This modern version of the 1989 Master System classic promises to bring the title to a new generation of gamers. Adventurer Hu-Man, or his new partner Hu-Girl, has been turned into a half-human, half-lizard figure by the Meka-Dragon. He/she must search for a cure, exploring the many environments of Monster Land and defeating the curse-wielding dragons that lie within. Over the course of the journey, the ability to transform into a mouse, piranha, lion and hawk will also prove useful. Colossal Order's city builder is finally heading to Xbox One. Players must lay down roads, zone districts and services to build the city of their dreams and become Mayor. Create a smoky industrial revolution or a city fueled by eco-friendly renewable energy. Balance the economy with the need to provide education, water, electricity, healthcare, emergency services and more. Enforce policies to create the suburbia of your dreams. The console version of the title also includes the "Cities: Skylines – After Dark" DLC that adds tourism and nightlife features to the large number of possibilities already available. This "third-person smash ‘em arena combat game" puts players in control of Forms that are battling for supremacyacross nine arenas and three game modes. There will be a choice of over 40 Forms from four different species — Mutants, Abstracts, Munchies, and Animals — that can be customised from hundreds of different styles to create your own personal appearance. There will also be five different classes that allow for different playstyles: The Ranger, the Guardian, the Striker, the Speedster, and the Marksman. After all that, if you're the victor, you can always rub it in with a variety of tags, taunts and emotes. In this abstract adventure, players journey through a reality made up of dreams and nightmares. As you make your way through the subconscious and the labyrinths of memories, what will you discover? Players must interpret their discoveries themselves through the game's visual and thematic metaphors, rather than the traditional means of speech and reading. Will you find your own truth? Players control a solar craft that is reliant upon the sun for its power, but it is rapidly setting on the horizon. Players must hurtle at breakneck speed towards the setting sun in a race against time. Catching energy boosts will momentarily reverse the setting sun, but the race still seems futile. After all, the sun doesn't last forever. Which of these titles will you be trying out?